News - Photo Hélico inc. Recently, in the head office of Power Corporation in Montreal, Yves Tremblay launch the private coffee table photo book “Les plus belles maisons du Québec vues du haut des airs” (The most beautiful houses of Quebec from the air), a distinctive book in an elegant case, an unique piece of art. The most influence people in Quebec got together in a private reception to celebrate the launch of this unique project. 60 of the most beautiful private domains of la Belle Province are represented in this very limited edition. Only those who are the book have 10 copies each. Very few other select people around the world got a copy as a gift. 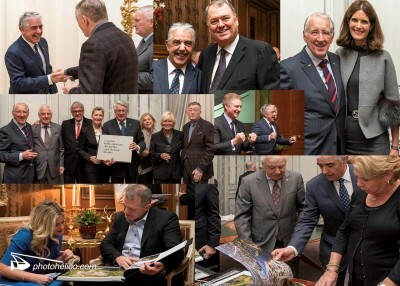 Just to name a few, La Maison du Quebec à Paris, Prime Minister of Canada and people in Calgary, Beijing, Copenhagen and London received this unique collector’s item. The critics were unanimous: the very few who saw the book agreed, what a master piece! Most said that they never saw Quebec in such a beautiful perspective. We see not only the most beautiful houses, but also see the territory, the gardens and the seasons. 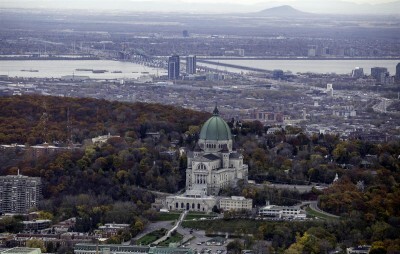 Ottawa, Quebec, Montreal and the Oratory Foundation have recently invested 80 million in the restoration of Saint Joseph's Oratory. 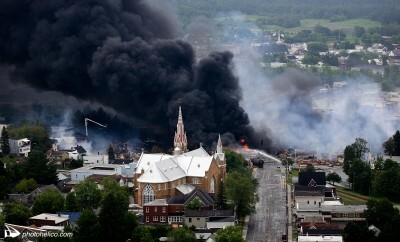 They wish to make this heritage building a legacy for the 375th anniversary of Montreal. Photo hélico will fly over the site of work during the next three years to take pictures. 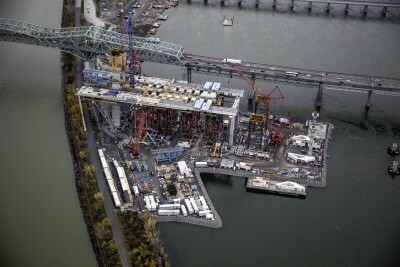 For 2 years, we have been flying over the Champlain Bridge to take pictures of the evolution of the construction. We will still perfom aerial missions in 2018. 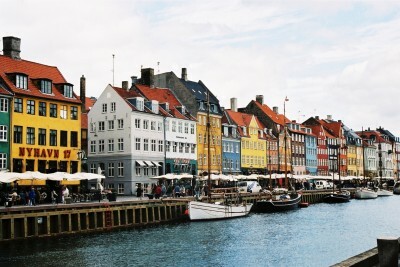 Photohélico travels to Copenhagen, the capital and largest city of Denmark. Yves will be the only Canadian at the international conference bringing together fellow local photographers from the US, Dubai and England. A visit to Hasselblad, a reputed company in photographic equipment, is also on the calendar. We will even try it during a scheduled takeoff with Jesper from Eagle Luftfoto! Aerial images of this trip in the cradle of the vicking era will be brought back to you soon!